Hubbell Trading Post is about 85 miles northeast of Holbrook and 45 minutes off Interstate 40 on the Navajo Reservation. But stepping onto the creaky wooden floors of this 140-year-old trading post and seeing the rich colors of the Navajo rugs sold here is worth the detour. 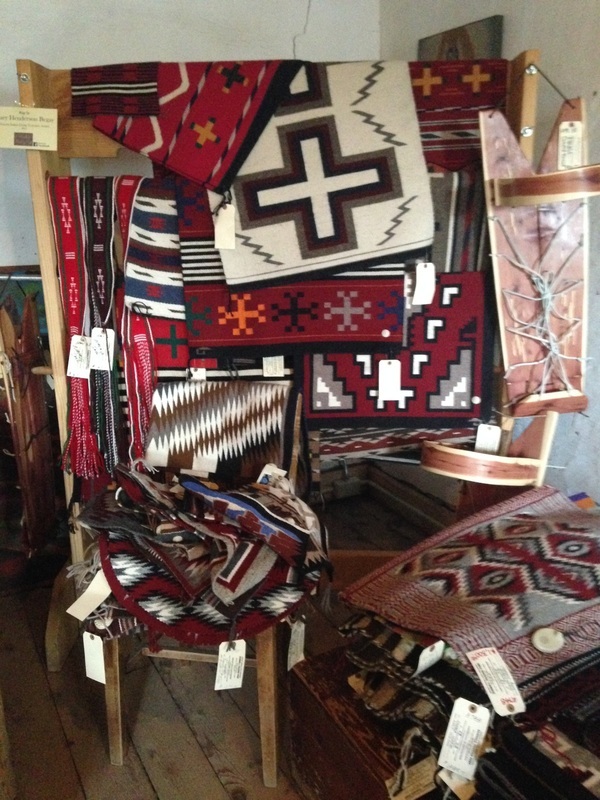 Weavers demonstrate their craft and the trading post has piles of beautiful rugs and other collectibles in the rustic Hubbell buildings, built of local stone. Hubbell's curator told a vivid story of an elderly Navajo weaver who walked through the snow to get the trading post to sell her rugs. He made sure to call her grand-daughter to get her a ride home during the winter chill. Lorenzo Hubbell started trading with the Navajo in 1878 and his family ran the trading post until 1965. 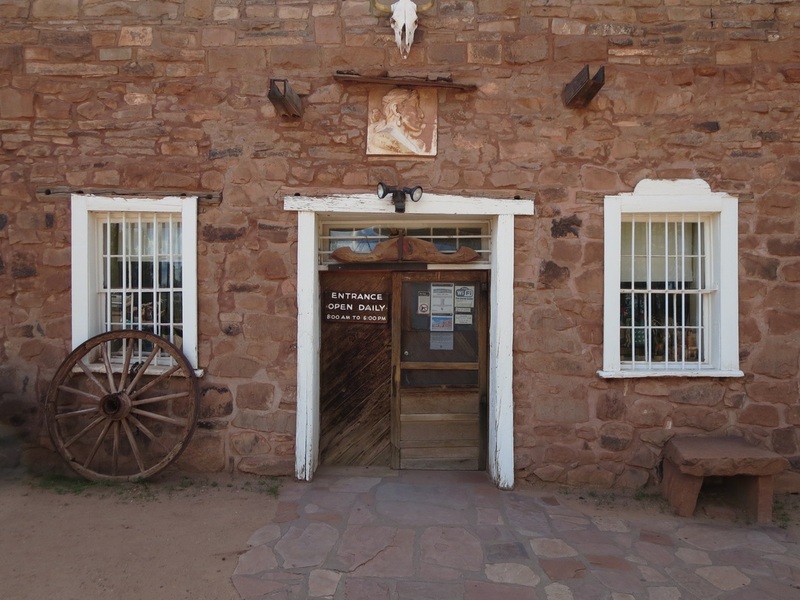 Hubbell Trading Post, operated by the Western Parks Association, is the longest continuously operating Navajo trading post. ​Lorenzo Hubbell also served as sheriff of Apache County. But he lost in his re-election bid in 1886 to Commodore Perry Owens, a famous lawman involved in a deadly shootout in Holbrook in 1887. At Hubbell Trading Post, take the time to wander into the barn for a fragrant trip back in time to see carriages and dusty horse tack. Visitors to Hubbell in Ganado should also consider continuing on to Canyon de Chelly National Monument , roughly an hour away. A drive along the canyon rim to see Spider Rock or a hike to White House Ruins is time well spent. From Canyon de Chelly it's 100 miles to Four Corners where Arizona, New Mexico, Colorado and Utah meet at one spot of the high desert on the Navajo Reservation. It costs $5 cash to visit the Four Corners site and straddle four states for the obligatory selfie. Be forewarned that the exact spot where the four states converge has been disputed. The monument was moved from a different location in 1992. The National Oceanic and Atmospheric Administration insists its National Geodetic Survey was correct and the current monument is the correct Four Corners location. 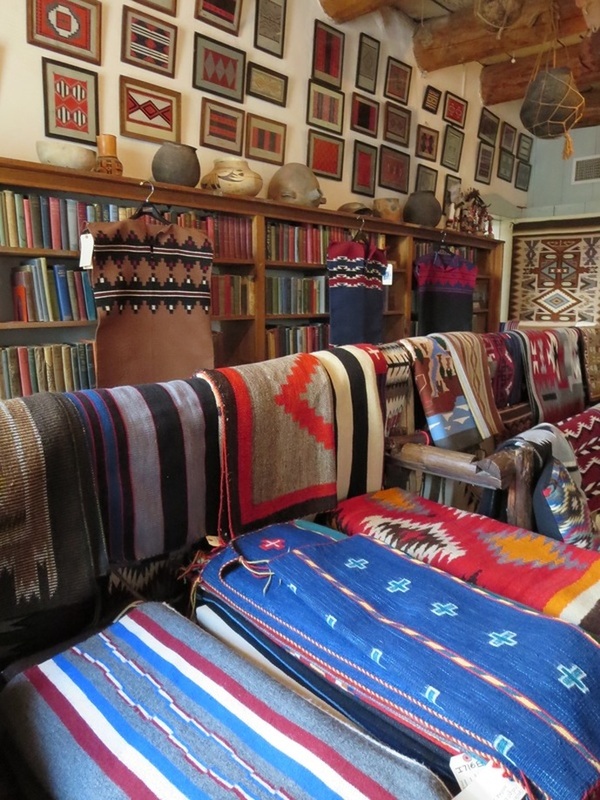 Colorful Navajo rugs line the walls of the Hubbell Trading Post. Hubbell, established in 1878, is the oldest continuously operating trading post on the Navajo Reservation. 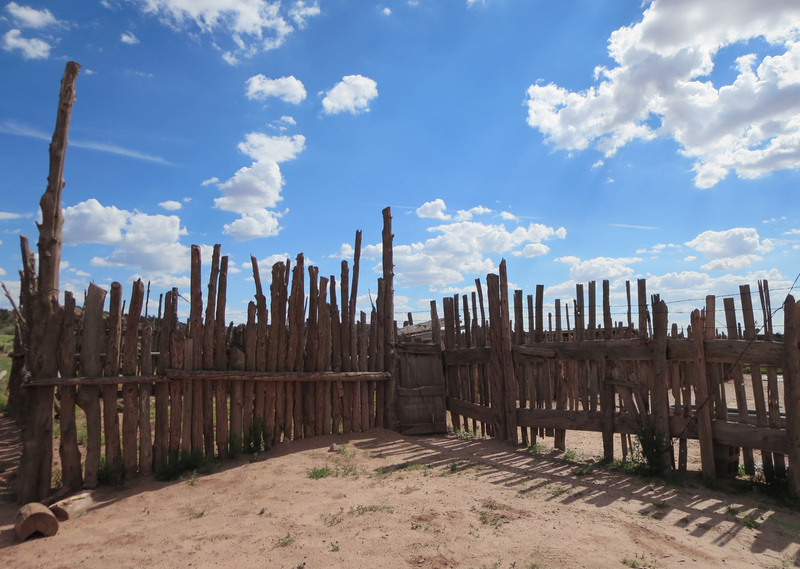 Summer clouds escape the corral behind the Hubbell Trading Post.